Hot summer days ! What’s better than a nice refreshing glass of cold Salty Lassi. This is the best drink….right after water on scourging hot days. The best part is that its super simple, easy and quick to make. Splendid and delightful drink to enjoy anytime anyplace. 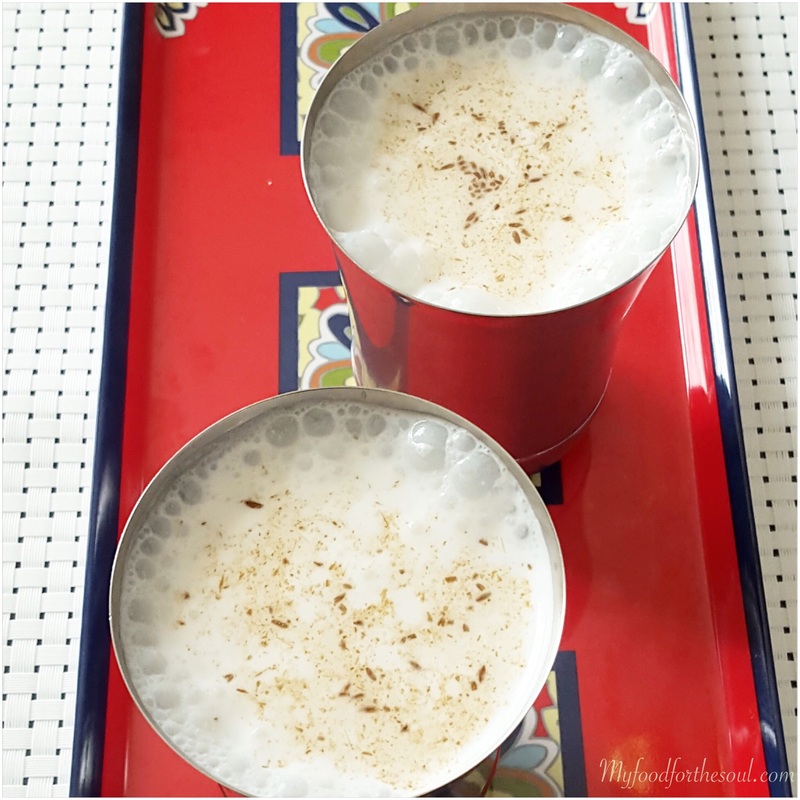 Gujarati’s love masala chaas, which is another great refreshing drink. It goes well with many different Indian rice dishes. Salty Lassi also goes well with any meal. Many people drink this daily with their meal to help digest food properly. 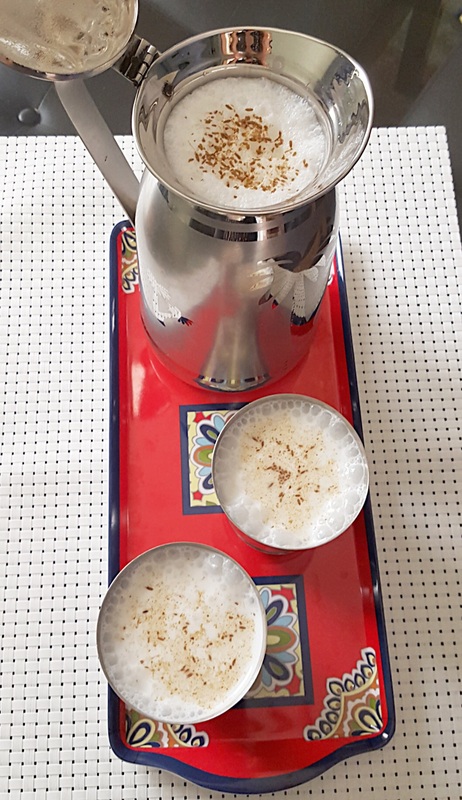 Lassi can be made in many different flavors like mango lassi, rose lassi or fruity lassi with different variations of spices and texture. On the norm either lassi is nice and thin or smooth and creamy. Lassi is at it’s best when made with fresh yogurt, old left over yogurt usually leaves a bit of sour taste to the lassi. Personal, I wasn’t the greatest fan of salty lassi in the beginning, since I always was …actually still am the greatest fan of sweet lassi. 🙂 After, marriage a lot of things change and my eating and drinking taste had taken a whole new adventure. 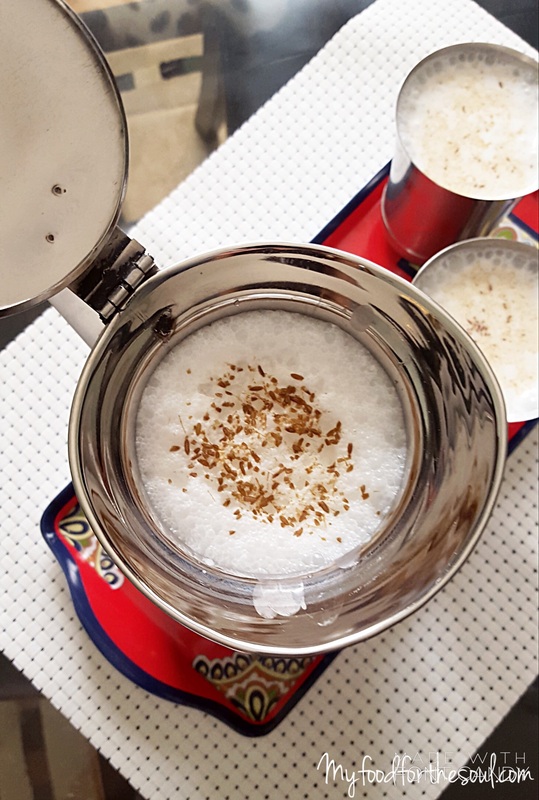 My husband loves Salty Lassi with crushed jeera and for him I was making it often and that’s how the love for salty lassi started. 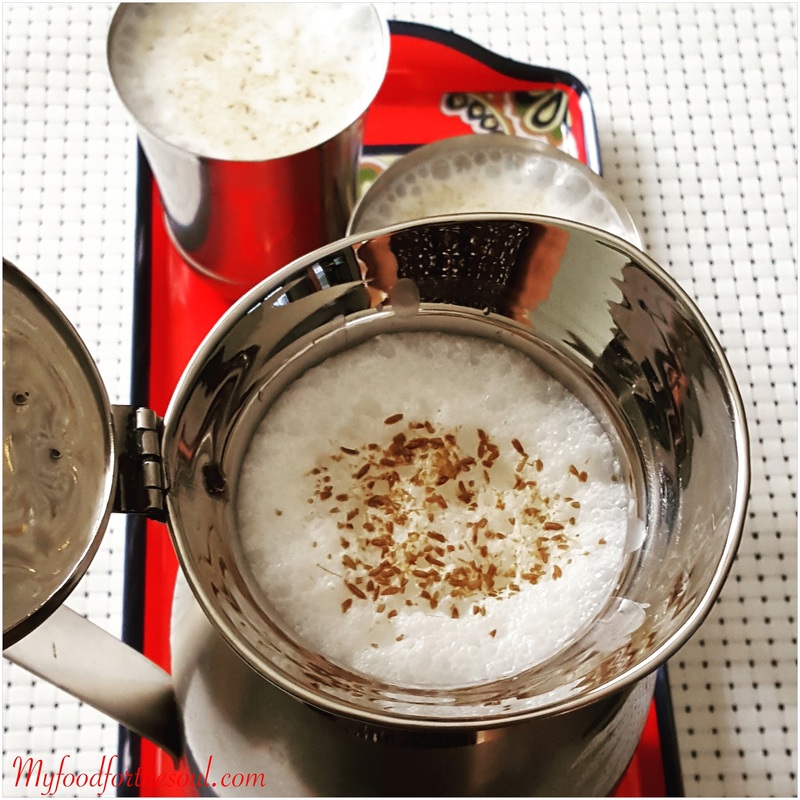 During the summer months Lassi is a regular drink made in my house, I try to give salty or sweet lassi to my kids instead of pop or sugary drinks. I had shared a post on Mango Lassi, which is another all time favorite. The natural taste of fresh mangoes combined with fresh yogurt and a dash of sugar changes everything! Canned mango pulp is also fine, but I tend to use fresh fruits in season first. Super simple and easy recipe to follow. So let’s go the recipe and try it out. Make sure to let me know what you think and would love to see your comments, feedback or even pictures of this recipe. Combine all of the ingredients into a blender and blend till a smooth consistency has been reached. Pour into glass and top of some crushed jeera (cumin) and serve cold.